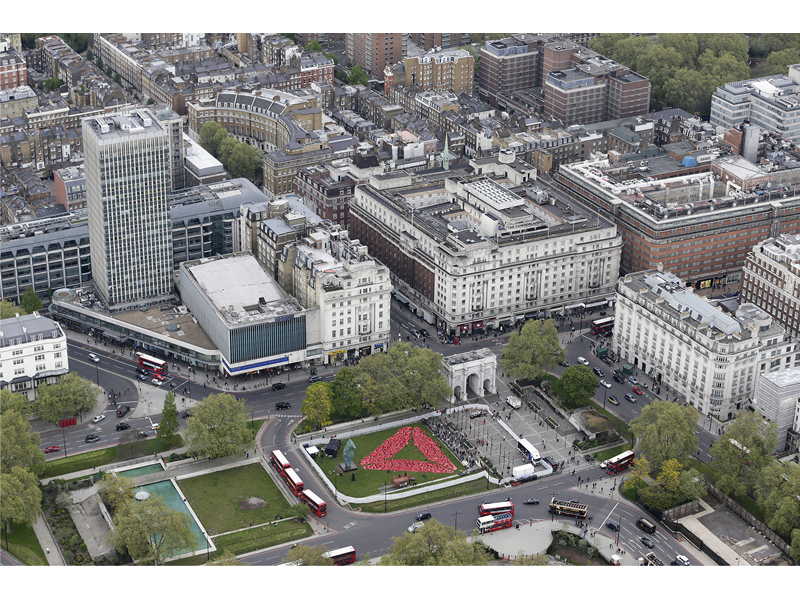 On 22nd April in London, United Kingdom, Global Fitness Brand, Reebok, brought London's fitness communities together at Marble Arch to celebrate its new brand mark – the Reebok Delta symbol. Hundreds of fitness enthusiasts took part in simultaneous CrossFit®, BODYCOMBAT™ and Spartan Race workouts, creating a living, breathing and sweating, physical manifestation of the new Reebok brand mark. For centuries, the Delta has been a symbol of change. Reebok's new brand mark symbolizes the brand's mission to help people change for the better and be the best version of themselves through fitness. Reebok believes that living a fit life creates physical, mental and social changes - each of which are represented by the three independent sides of the brand mark. To bring this to life, Londoners from the CrossFit, Les Mills and Spartan Race communities came together to work out, celebrate Reebok's new brand mark, and offer people the opportunity to experience their unique brand of fitness. Each side of the brand mark was represented by one of three bespoke workouts. Members of the local CrossFit community participated in workout consisting of kettle bell swings, box jumps and squats; Les Mills hosted a high-energy BODYCOMBAT™ session and Spartan Race created a bespoke obstacle course training session including high knee marches with sandbags and burpees. This first-of-its kind fitness event was captured in a spectacular aerial photograph via helicopter against the iconic backdrop of London. Reebok Chief Marketing Officer, Matt O'Toole, commented: "With the launch of our new brand mark we are signalling a big change at Reebok as we focus all of our efforts on fitness. We want to celebrate those who share our beliefs and want to demonstrate to the world how you can achieve a better life through fitness – physically, mentally and socially.